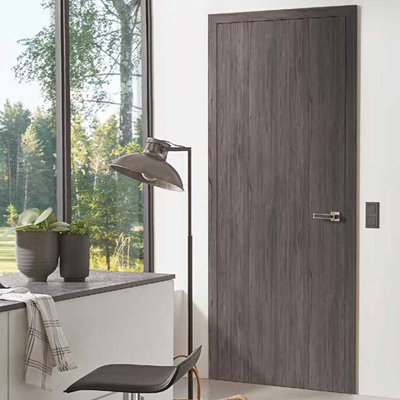 Hidden or concealed hinges make it possible to achieve uninterrupted flush-faced surfaces on the hinged side of the door, bringing a visual, harmonious flow to the interior. The Simonswerk hidden hinges for British Style allows the door to open to180 degrees. 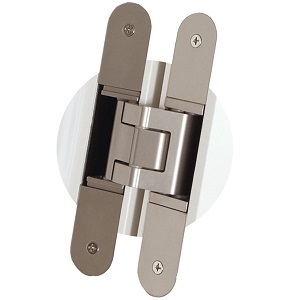 The complete concealed TECTUS hinge system for British Style interior doors is the latest innovation in hinge technology on the market. 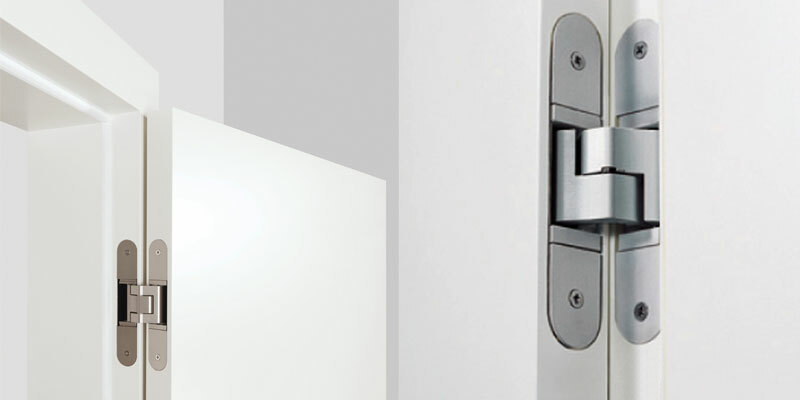 The high performance and heavy-duty concealed hinges are three dimensional in adjustability - available only from Simonswerk who supply our factory in Germany, the Grauthoff Door Group. Completely concealed for British Style (Non-reabted) doors with timber frames. UL-certified, with comfortable 3D adjustment, load capacity up to 80 kg, opening angle up to 180°, overall length 160mm, right hand and left hand applicable, maintenance-free slide bearings, threedimensionally adjustable: side +/- 3,0 mm, height +/- 3,0 mm, compression +/- 1,0mm. ​Note: The load capacity mentioned above refers to the use of 2 hinges per door leaf (1 x 2m), for detailed information please look at the chapter "technical information". Do you want to see more models of solid wooden doors? Do you know that we can supply and fit glass doors?